Inspired by the power of personalized music, Anne Brazil has decided to include Music & Memory in her will. Anne Brazil was surfing Netflix one day when she discovered a video that moved her so profoundly, she had to act. The video was Alive Inside: A Story of Music and Memory. For this former music teacher with a Master of Social Work, the concept was captivating. “What can I do to support this remarkable program?” she wondered. Anne mailed a check to Music & Memory, asking only that it be used however her donation could make the greatest impact. In response, she received a personal thank you card from Dan. “He didn’t flood my email with pleas for more, and he didn’t stuff my snail mail box, either,” she says. “This program is a cut above.” As she learned more about the organization’s efforts to spread the power of personalized music, Anne considered dedicating a portion of her estate to Music & Memory. A California native who grew up on a farm, Anne first learned to play the clarinet in school and later, many other instruments. (Her musical favorites include Gregorian chants, Mozart, Leonard Cohen, the Three Tenors, the Pentatonix, and Rock ‘n Roll.) 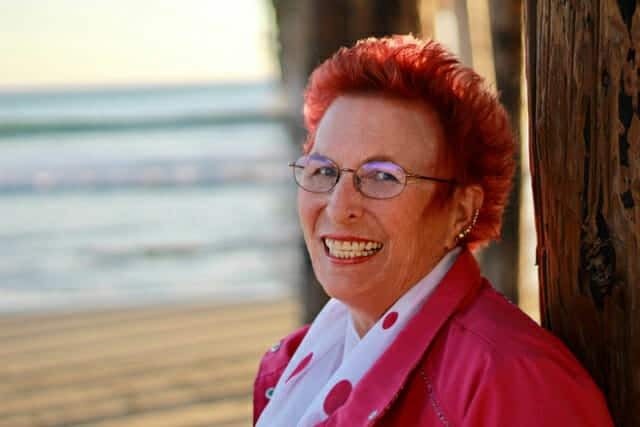 After earning a degree in music, she taught beginning instruments, then branched out to vocal and instrumental instruction at all school levels over her 40-year career. Now retired and enjoying the fruits of her careful saving and investments, Anne decided it was time to give back. “I’m a senior citizen myself,” she says. “I’m fortunate to have the means to last my remaining years. All my needs are met and almost all my wishes. It was time to put my desires on paper.” In the process of drafting her will, she decided to include Music & Memory as a beneficiary. “My quality of life is ample,” she says. “But I realized there are some older people who are really suffering. They’re locked inside themselves. If we can give someone another year or even a month of fun, we should do it—with a smile and a laugh and love! Manon Bruinsma directs Music & Memory in the Netherlands and guides international expansion. It all began in 2008 as an experiment with a handful of residents in four New York nursing homes. In the ten years since, MUSIC & MEMORY® has brought the power of personalized music to every state in the U.S., as well as Canada, Australia, Europe, the Caribbean, Israel and South Africa. And pilot programs are underway in Japan. That was just the beginning of what has become a passionate life’s journey to bring the benefits of personalized music to her home country, as well as the rest of Europe and beyond. Manon’s first step was to contact Executive Director Dan Cohen, who put her in touch with another Dutch music therapist. Together, they took Music & Memory’s training and began to set up personalized playlists for some of their clients—and learned a few lessons. “I thought the headphones would be isolating,” she says. “And I thought people who were musical all their lives would respond the most positively, while people who had no musical involvement would not.” Both assumptions proved to be false. 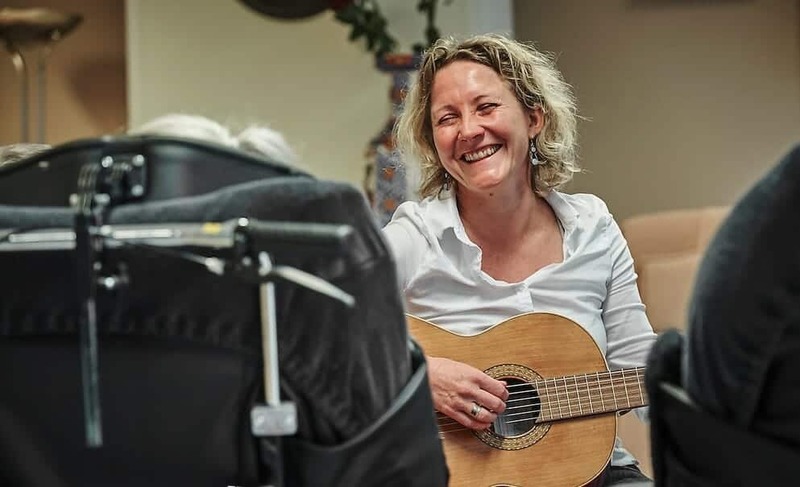 Intrigued by how Music & Memory was improving quality of life in nursing homes where she worked, Manon volunteered to field questions about the program from people outside the U.S. She also continued to advance the use of personalized playlists at nursing homes in the Netherlands. Then, in April 2015, she traveled to New York City to meet with Dan and formalize the founding of Music & Memory in the Netherlands; in addition, Dan asked Manon to direct the organization’s European outreach efforts. That role has vastly expanded to encompass the rest of Europe and Quebec. Today, there are 48 MUSIC & MEMORY® Certified Care Organizations in the Netherlands, including two on the Dutch Caribbean island of Curaçao. Manon has also helped to train care professionals in Quebec, the United Kingdom, Germany and Switzerland—she speaks Dutch, English, German and French. Beyond Europe, five nursing homes in Israel are running pilot programs. Two nursing homes in Japan are also running pilots. Then there is Our Parents Home in South Africa, Music & Memory’s first site on the African continent. Through other partnerships, there are more than a hundred MUSIC & MEMORY® Certified Care Organizations throughout Australia and nearly 300 in Canada. And the inquiries keep coming—from Hungary, Denmark, Sweden, Austria, France, Italy, Poland, Portugal, Spain and Argentina. Research about the benefits and impact of personalized music is underway at universities in the Netherlands, Germany and Poland. The experience has highlighted cross-cultural similarities in elder care, as well as some striking differences. Budgets are being cut everywhere, Manon observes. High staff turnover is a persistent challenge, in part, she believes, because many countries are trying to keep people at home longer. By the time they are placed in a nursing home, they are much sicker, creating more stress for staff. But, she adds, quality of care differs greatly from country to country, depending on tax revenues and the degree to which each government is involved in running the homes. In the Netherlands, for example, almost all nursing homes are publicly owned; compulsory public long-term-care insurance supports a high standard of care. In the U.K., by comparison, 70 percent of the homes are private. France requires families to be involved in their family member’s care, including bringing food, to get a placement. Across Europe, she sees a trend toward favoring home care over nursing homes. As Music & Memory develops new training for home care agencies here in the U.S., the demand for parallel training for European countries, as well as family caregivers, will undoubtedly increase.